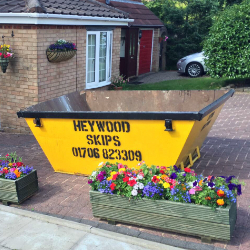 Heywood Skip Hire is a local, family-run business with over 20 years of experience in skip hire across the North West. The range of skips is from mini skips to maxi skips, the largest taking up to 8 cubic yards of waste. 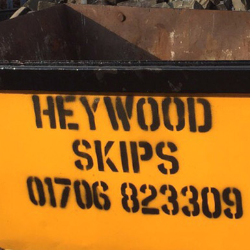 Our delivery and collection of skips is always prompt, so if you're in need of a skip, simply give us a call for a reliable and friendly service.